When I was a kid my parents would get a couple cartons at a time, which they still had to ration, because I, like my 5 siblings, could easily drink a carton apiece. These days I make my own eggnog, and sadly must submit again to rationing, self-imposed this time, for the sake of my not-so-girlish-anymore figure. A reader suggested that eggnog would make a good ice cream, and once that idea lodged in my brain it never let go until the ice cream was made. Three cheers for all things eggnog! This recipe is similar to the eggnog recipe, but with a couple more egg yolks, and a slightly different milk to cream ratio. And then, of course, churned into ice cream. You could probably easily use already prepared eggnog, even the store-bought stuff. But if you’ve happened to spike it to the point of tasting the alcohol, it won’t churn into ice cream because the alcohol won’t freeze. Want to make an extra-special batch of eggnog ice cream? Consider adding one of these mix-ins to the ice cream at the end of churning. Updated December 15, 2018 : We spiffed up this post to make it sparkle! No changes to the recipe. Adding a couple of tablespoons of a spirit like rum, bourbon, or brandy to the eggnog ice cream base will help the ice cream from getting too icy if you store it for more than a day. You can skip the alcohol, but if you do, you should eat up the ice cream the day you make it. 1 Infuse milk and cream with spices: Put the 1 cup of milk and 1 cup of the cream into a heavy saucepan (2 quart). Add the cloves, nutmeg, cinnamon, and a pinch of salt and heat until steamy, but not boiling. Lower the heat to warm, cover, and let spices steep for at least a half hour. Pick out the whole cloves and discard. 2 Add sugar: Stir the sugar into the milk cream base until the sugar dissolves. 3 Put remaining cream in bowl over ice bath: Put remaining 1 cup cream in a metal bowl, resting in a larger bowl of ice water. Place a fine mesh strainer over the bowl of cream. 4 Temper the eggs with the heated cream milk mixture: Whisk the egg yolks in a medium sized bowl. Slowly pour about half of the heated cream milk mixture into the egg yolks, whisking constantly so that the egg yolks are tempered by the warm mixture, but not cooked by it. 5 Heat mixture to make custard base: Return the saucepan to the stove on medium heat, stirring the mixture constantly with a wooden spoon, scraping the bottom as you stir, until the mixture thickens and coats the spoon. You should be able to run your finger across the coating and have the coating not run. This can take about 10 minutes. The second the mixture thickens enough to coat the back of a spoon, it should be removed from heat immediately, and poured through the sieve over the ice bath to stop the cooking (see the next step). If the custard base doesn't coat the back of the spoon, it's not ready. The custard coats the back of the spoon. 6 Strain custard into cream over ice bath, then chill: Pour the custard through the strainer you set up over an ice bath in step 3, and stir it into the cold cream to stop the cooking. Once initially chilled in the ice bath, chill the mixture thoroughly in the refrigerator (at least a couple of hours). 7 Stir in vanilla extract and rum/bourbon/brandy: When it comes time to churn the ice cream, stir in the vanilla extract and the rum, bourbon, or brandy. 8 Process in ice cream maker: Churn the mixture in your ice cream maker according to the manufacturer's instructions. 9 Transfer to container, store in freezer: Remove ice cream from the ice cream maker and transfer it to an airtight container; store in your freezer for several hours before eating. Note that the ice cream will be quite soft coming out of the ice cream maker. It will continue to harden in your freezer. If stored for more than a day, you may need to let it sit for a few minutes to soften before attempting to scoop it. Hello! All photos and content are copyright protected. Please do not use our photos without prior written permission. If you wish to republish this recipe, please rewrite the recipe in your own unique words and link back to Eggnog Ice Cream on Simply Recipes. Thank you! I think I may try this with ready bought eggnog and just follow my regular vanilla ice cream recipe but with eggnog instead of whole milk. And rum flavour instead of vanilla. Think that should work? If you want to add more spirit but scared it won’t freeze, just heat the spirit beforehand so the alcohol evaporates away leaving the spirit flavour only. Also, if the ice cream is too hard, increase the sugar. I also suspect that if you added corn syrup instead of extra sugar that would decrease the excess ice. I’ll test this theory once I get my ice cream machine back off my mother! Is there something I could add that’s non-alcoholic that would server the same purpose (IE.. anti-freeze)? Re: ingredient #7, the 2/3 C sugar; I assume it’s added at step 4 or 5? I tried making ice cream out of store bought eggnog last year, and it was only partially successful. Straight out of the machine, it was wonderful, like soft serve. But after a few hours in the freezer, the ice cream became very icy and no longer appetizing. Yummo! Will definately be making this in the next few days; my kids (there are 4 of them from 25, down to 16) don’t ever remember me making ice cream and I have promised myself they will get some homeade ice cream before returning to college! I used to make a coffee ice cream w/rum (which I am still planning on making), in addition, I just have to try the Egg Nog for my 2nd eldest son who has a love for Egg Nog! I can’t wait to try it! So if you used store-bought egg nog, how would you alter your recipe? Sounds delicious. I have made eggnog ice cream several years in a row and it’s always a hit. One tip is not to use a double boiler or else the custard step takes forever. This looks and sounds so good. Every year I say I’m going to make eggnog ice cream, then I get sucked into buying our favorite Turkey Hill eggnog ice cream, which is still very good. The ice cream is all gone, but we still have nog in the frig, so I might be tempted! 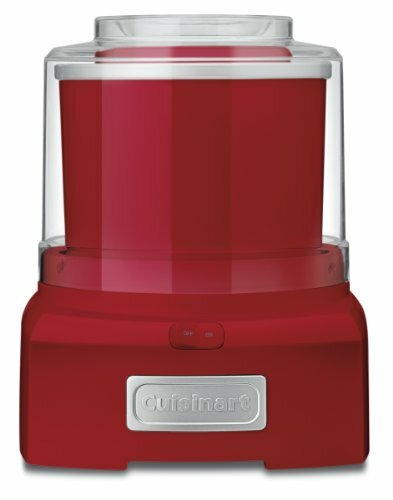 This sounds delicious…for years now I had been stopping myself from buying this $20 Panasonic Ice Cream Maker that looked absolutely perfect. No freezing of parts and salting ice or anything like that. Just pop in batteries and toss it in the freezer. Come back in a few hours and it’s spun and frozen to perfection according to all the reviews on Amazon. You just breifly put me back on to the idea as my diet back in the day said Absolutely NOT! However it doesn’t look like they sell it and I’m not buying the other style I’ve used in the past. Maybe it’s for the best I can’t make this ice cream. Or maybe I’m just ranting to see if another poster knows of a similar unit. Damn subconscious. I worked at an ice cream store in Boston that makes eggnog ice cream as a December flavor. They also make coquito ice cream. (Coquito is a Puerto Rican drink with egg yolks, coconut and rum.) These are both very popular flavors. Yum! This is awesome. I add the bourbon or rum to a caramel sauce for the top so no worries about it not freezing. Best of both worlds..